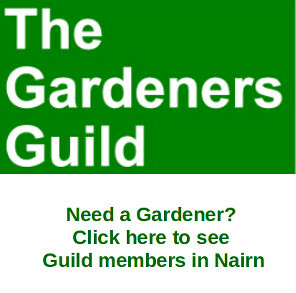 A Gurn from Nurn: Funny Face (U) Matinee Monday 21st January 2pm Nairn Community and Arts Centre Tickets at the door. 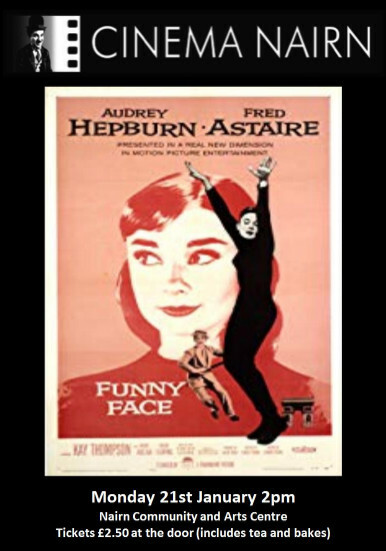 Funny Face (U) Matinee Monday 21st January 2pm Nairn Community and Arts Centre Tickets at the door. On Monday 21st January, Cinema Nairn kicks off its tenth anniversary year with a matinee screening of favourite musical ‘Funny Face’ starring Audrey Hepburn and Fred Astaire. Featuring Gershwin hits such as Funny Face and S’Wonderful, this movie is guaranteed to warm up a cold January afternoon, with the usual tea, bakes and chat afterwards. Other highlights of the season include Oscar winners Three Billboards Outside Ebbing Missouri, The Silent Child in a double bill with The Miracle Worker, and Katherine Hepburn with Henry and Jane Fonda in the 1981 On Golden Pond. Two outstanding foreign films in the programme Cold War (2018) from Poland which tells of a fated love affair between a musician and his gifted pupil, and Sherpa, originally conceived to explore the Sherpas’ spiritual feelings about Everest but taking a tragic sidestep when avalanche struck during filming. There are two very contrasting WW2 films: Alone in Berlin, a sombre but moving story of a grieving German father’s fight against the Nazi regime, and comedy Their Finest, with Gemma Atherton and Bill Nighy as Ministry of Information hacks. A couple of old favourites, Basil Rathbone’s Hound of the Baskervilles, and Margaret Rutherford’s return as Miss Marple complete the matinee programme. And of course don’t forget the Tenth Anniversary Film Festival – a weekend of eight Scottish themed films from 15th to 17th February complete with pizza and Prosecco launch!